Hello India! 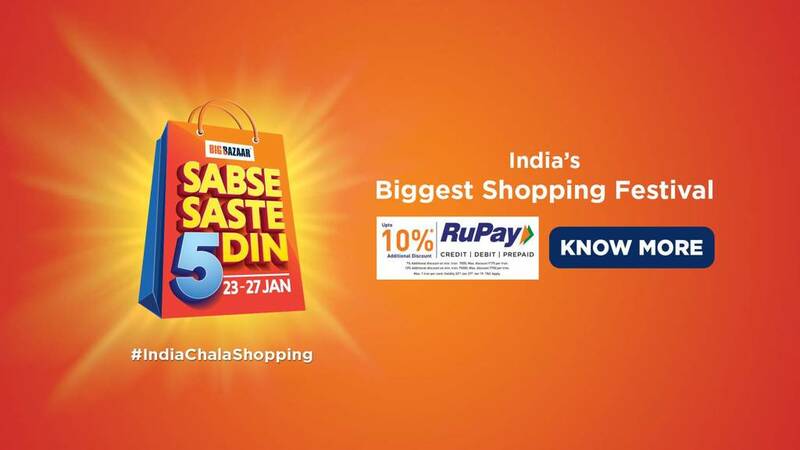 Are you ready to be a part of the Biggest Shopping festival? 5 days of guaranteed lowest & best prices across food , fashion , electronics , Kitchen & home needs. Create your shopping list & Be the first to shop.